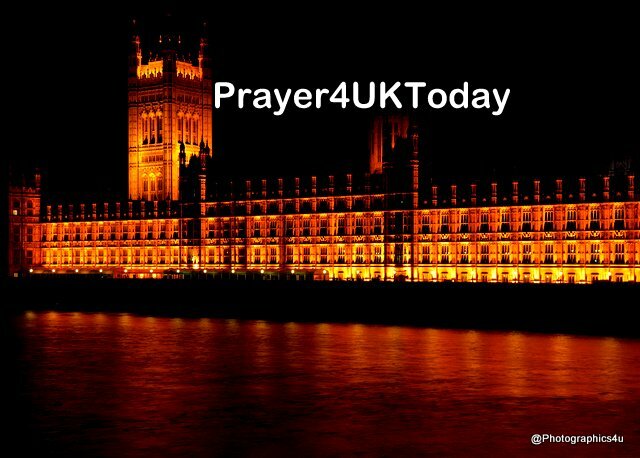 We bring before You Father God the members of our Parliament and hand them over to You. Abba, Father, my Father, our Father. Father of our Lord Jesus Christ, Father of all, Prototype and perfection of all fatherhood. Father, dear Father. Father in heaven, the sphere of the spiritual and eternal, of perfection, holiness, blessing and love, not far removed, but omnipresent, perceptible to the eyes of faith, tangible to the action of faith. May all MP’s know You more deeply, more intimately, more truly, know You as seen in Jesus Christ, both in His incarnate life and in his incarnation within ourselves. May they reverence and love You, may all do so. May the members of Parliament love You with all their hearts, with all their minds, with all their will and in the depths of their being. May no lesser loyalties rule over them. May Your rule deepen in them and extend over the world in which they live. May your righteous, loving, holy, effective will be done in each MP and in the world, by us and by growing numbers of people -the loveliest, most perfect, passing all understanding and all desire. On earth as in the spiritual sphere, by us as by the angels and saints, here and now, approximating more closely to the perfection with which your unique Son Jesus obeyed and effected it. Hasten the time when all people shall have sufficient food and all that is necessary for abundant living. Give each MP their spiritual food for today, for its duties, its difficulties, its opportunities, and adventures. Forgive the selfishness of the members of Parliament, their immaturity, their failing in love, their timidities and lack of faith, their falling short of all that they can become by your grace. Heal all the diseases of their souls, make up all their deficiencies. May MP’s learn that only they remain within the circle of your forgiveness, if they too forgive anyone who has harmed them. Save them from being self-righteous, censorious, judgemental. Make them understanding and compassionate towards all who sin. Don't let any member of Parliament fall into temptation through weakness, self-will, pride, the memory of past falls, the persuasion of others, or the prevailing assumptions of the world around them. Alert each MP to evil, don’t let it get any entry into their mind, imagination, or will. Protect them, save them, from evil without or within. Sanctify them, fill them with love. For all belongs to You. You have made all, You love all, You will to save all and to bring all men into Your Kingdom of righteousness and love. And it is only through Your faithful love that we continue to live, only through Your power that we are strong, only through Your grace that we grow in maturity and holiness. So the glory is Yours, for all that is and all that can become. Glory be to You, Creator, Saviour, Lord, Our Father for ever and ever.